Health insurance—Get rewarded to stay fit! 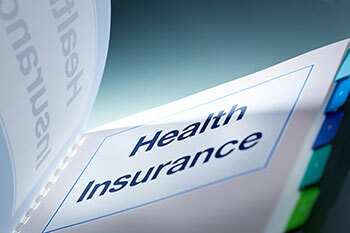 Insurance companies provide incentives on health insurance premiums if the insurer stays fit during the term of the policy. Insurance companies provide incentives on health insurance premiums if the insurer stays fit during the term of the policy. These companies have been incorporating innovative features in their health insurance schemes to reward their policyholders for either not submitting any medical insurance claim during the year or for joining wellness programmes or adopting fitness schedules in their daily lifestyles. Let us have a look at these features. Most of the insurance companies give discounts in the form of ‘no-claim bonus’ on the next year’s premium if the policyholder does not submit any claim during the preceding year. The discount can range from a modest 105 to as high as 30% on the premium amount. The reduction in premium confers direct monetary benefit to the insured so, in a way, the policyholder gets paid for staying fit! Some insurance companies such as ICICI Lombard offer reward points to policyholder who participate in specified activities such as walkathons, marathons, swimathons, cyclothons, yoga and workouts. These reward points can be redeemed for goods and services at specified establishments. Then, there are insurance companies such as Apollo Munich and Aditya Birla that offer discounts or rewards points for walking 10,000 steps in a day or 30-minute workout at an empanelled gym. These companies keep track of these activities digital devices having an integrated tracking mechanism such as fitness bands. Other insurance companies such as Bajaj Allianz provide discounts on preventive health check-ups at empanelled diagnostic centres and hospitals, as well as discounts on pharmacy bills at the network pharmacies.